When I was young and my family drove across the U.S., one of my dad’s habits was to call historical landmarks, hysterical landmarks. Unfortunately I picked up this habit and have a hard time not using it when I need to say historical. In this case, hysterical applies. 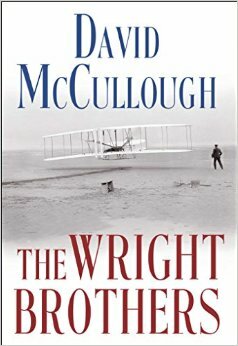 David McCullough is cited as an historian, but in The Wright Brothers he fails miserably. Relying mainly on the diaries of Wilbur Wright for the story of how the brothers came to succeed in flying, McCullough misses not only the knowledge of those before them, but their use of that knowledge. This is like relying on just the testimony of the wolf, who would then be known as a mistreated canine instead of a grandmother killer. The biggest failing is the lack of information on the Wright brothers and Octave Chanute. Chanute was a proponent of all involved in trying to fly sharing information. This, as McCullough notes, was against the belief of the brothers. However, Chanute had openly shared the results of experiments and the knowledge of men like John Montgomery who had been flying gliders since 1899. Montgomery’s study of birds in flight and use of a wind tunnel preceded anything the Wrights had done. McCullough ignores this with statements like, “they were the first to use a wind tunnel”. The book Quest for Flight, documents how Montgomery studied and perfected wing warping. Chanute admonished the Wright brothers when they claimed to have been the pioneers on the subject. Rather than investigating this dispute, McCullough simply gives us Wilbur’s response, who naturally does not admit to knowing of Montgomery’s work. McCullough treats Orville and Wilbur as if they are gods, untouchable, and almost superhuman. He even speculates – in describing why the Wright’s ignored the death of William McKinley by working when others mourned as, “their way of dealing with his death”. The Wright brothers were the first to fly under power. For this there is no dispute, but an historian should not be as biased as McCullough seems to be in making them more than they were. If I were McCullough’s professor and this was a dissertation, I would send it back for major rework, instead all I can do is give him one star.